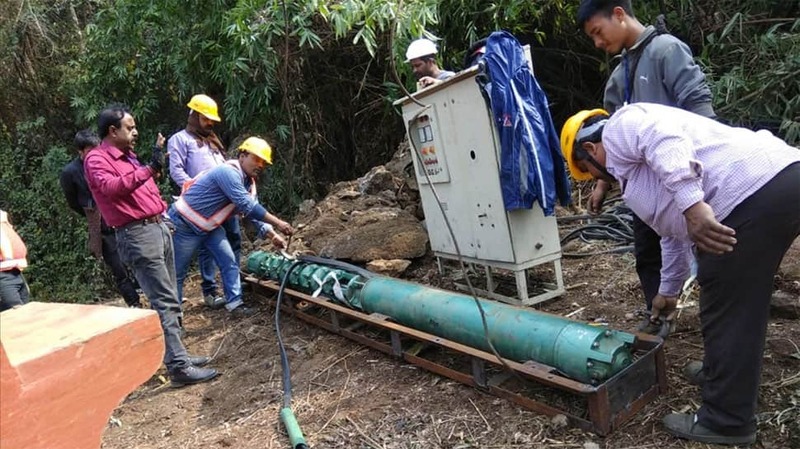 Nearly 35 days after 15 miners who went missing in a flooded coal mine at Ksan village in Meghalaya's East Jaintia Hills, divers spotted the body of one miner from a depth of more than 200 feet. "One body has been detected by Indian Navy divers using a remotely operated underwater vehicle at a depth of 160 feet,” the navy said on Twitter. "The body has been pulled up to the mouth of the rat-hole and shall be extracted out of the mine under the supervision of doctors," it said. 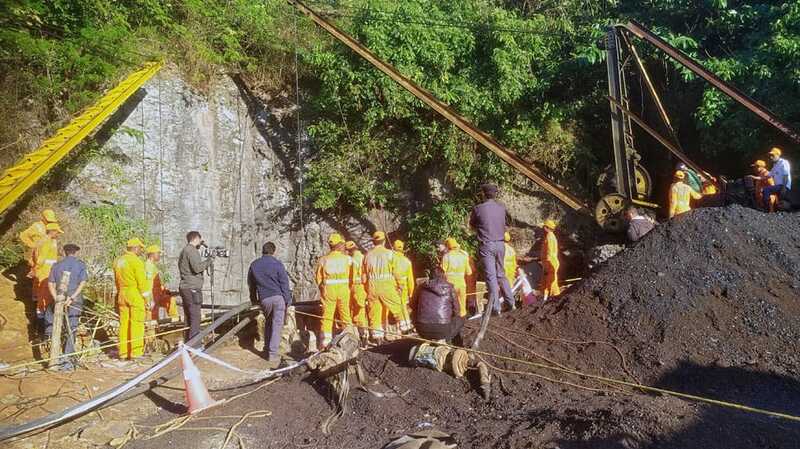 Navy said that the search operations for the rest of the miners are on. Photo: Divers use a pulley to enter a coal mine that collapsed in Ksan. 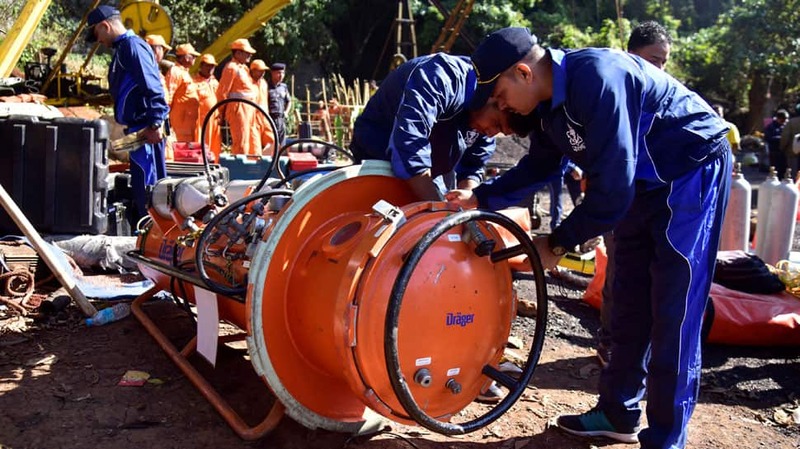 The body was first spotted by rescue teams, including the Indian Navy and the National Disaster Response Force (NDRF), with the help of an Underwater Remotely Operated Vehicle (UWROV). It is to be noted that these specially-designed vehicles are used by the navy divers to locate objects underwater. A police official, who asked not to be identified, said a team of doctors, paramedics, and ambulances had been sent to help recover the body. Photo: Rescuers work at the site of a coal mine that collapsed in Ksan. 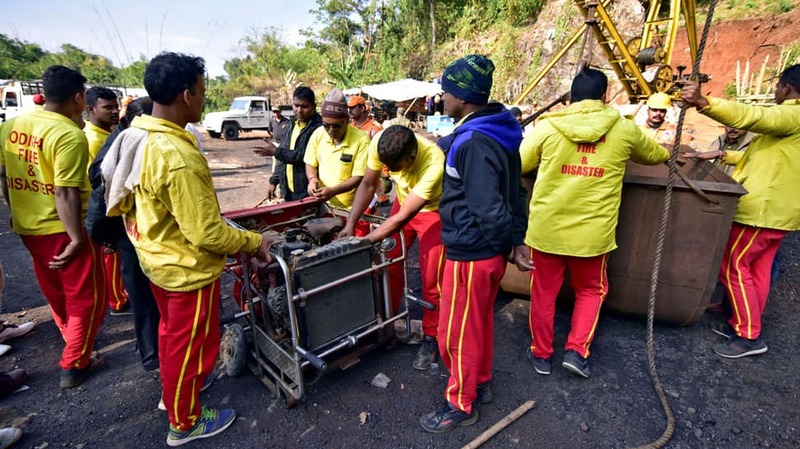 The slow progress of the rescue efforts has been contrasted with the dramatic rescue of 12 Thai boys and their football coach from a flooded cave last July, which drew a massive international audience. 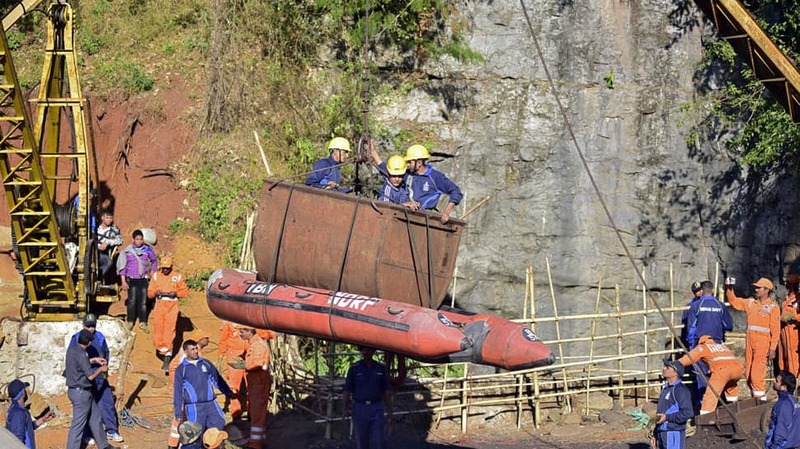 Photo: Indian Navy personnel prepare diving equipment before entering a coal mine that collapsed in Ksan. 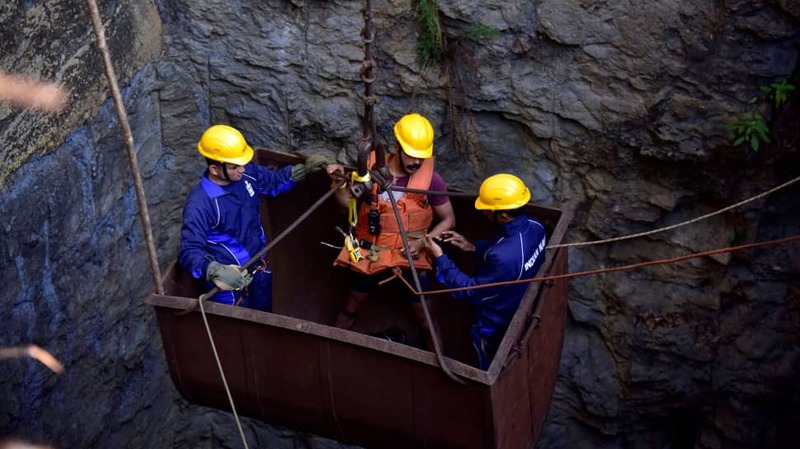 Photo: Indian Navy personnel come out of a coal mine during a rescue operation in Ksan. Photo: Rescuers prepare a water pump at the site of a coal mine that collapsed in Ksan. Photo: Rescue operations underway to evacuate the 15 coal miners trapped inside a flooded coal pit.